Stergios joined Watsi on July 3rd, 2016. 15 other people also joined Watsi on that day! 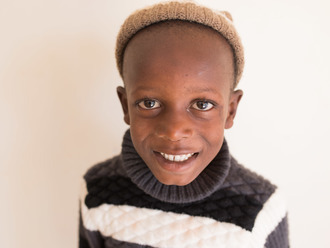 Stergios' most recent donation traveled 8,500 miles to support Lewis, a boy from Kenya, to fund clubfoot correction. Stergios has funded healthcare for 22 patients in 8 countries. Jean Gardy is a student from Haiti. Jean Gardy lives with his mother and younger brother in Port-au-Prince. He is in the eighth grade, and hopes to become an engineer when he grows up. Jean Gardy has a cardiac condition called rheumatic aortic regurgitation. One of the four valves of his heart was damaged by a rheumatic fever when he was younger, and it can no longer adequately pump blood through his body. Jean Gardy will fly to Cayman Islands to receive treatment. On April 9, he will undergo cardiac surgery, during which surgeons will attempt to repair the damaged valve. If they are unable, they will implant an artificial replacement valve. Another organization, Have a Heart Cayman, is contributing $27,000 to pay for surgery. 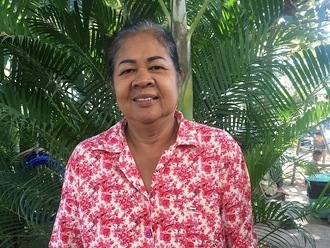 Jean Gardy's family also needs help to fund the costs of surgery prep. The $1,500 bill covers labs, medicines, and checkup and followup appointments. It also supports passport obtainment and the social workers from our medical partner, Haiti Cardiac Alliance, who will accompany Jean Gardy's family overseas. He says, "I am glad to have this surgery so I don't have to worry about my health!" Wadson is a student from Haiti. He lives in the outskirts of Port-au-Prince with his parents and younger sister. He is taking the year off of university because of his illness, but hopes to continue studying to become an engineer. Wadson has a cardiac condition called rheumatic mitral regurgitation. One of the four valves of his heart does not function properly because it was severely damaged by a rheumatic fever he suffered several years ago. As a result, his heart cannot adequately circulate blood through his body, and he is weak and in heart failure. 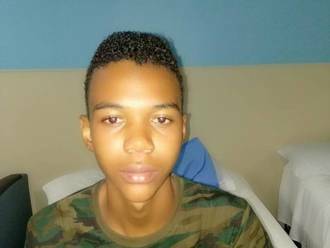 Wadson will fly to the United States to receive treatment. On March 27, he will undergo cardiac surgery, during which surgeons will repair his valve so that it opens and closes more normally. Another organization, The Heart Hospital Baylor Plano, is contributing $60,000 to pay for surgery. Wadson's family also needs help to fund the costs of surgery prep. The $1,500 bill covers labs, medicines, and checkup and followup appointments. It also supports passport obtainment and the social workers from our medical partner, Haiti Cardiac Alliance, who will accompany Wadson's family overseas. He says, "I am very excited to regain my health so that I can continue my studies later this year." Chan Thou is a grandmother from Cambodia. She has two sons and two grandchildren. She works at a money exchange stall in the market. She has been experiencing pain on her right hip for more than 12 years. The pain is so severe that she cannot walk on her own or sleep at night. Fortunately, Chan Thou learned about our medical partner, Children's Surgical Centre. At CSC, surgeons can perform a total hip replacement to relieve Chan Thou of her pain and allow her to walk easily. Treatment is scheduled for January 11, and Chan Thou needs help raising $1,025 to pay for this procedure. She says, "I hope I can take care of my family and walk again." Richard is an outgoing 60-year-old man from Kenya. He has two children, whom he is supporting through his casual work as a mechanic. Richard was recently hit by a bus and sustained a closed femur fracture in his left leg. He was brought to a local hospital for treatment. On October 30, Richard will undergo open reduction and internal fixation (ORIF) surgery to repair his left leg. Our medical partner, African Mission Healthcare Foundation, requests $998 to help fund the treatment on top of the $104 contribution from Richard's family. ORIF treatment will enable Richard to walk again, resume his job as a mechanic, and support his family. If not treated, he may develop complications with delayed healing and malunion. Richard says, “I am hopeful that Watsi will support me so that I can go back and take care of my children since I am their only hope." Nan is a 42-year-old farmer from Burma. Nan supports herself and her husband by planting and harvesting corn. In May of last year, Nan felt a mass in her lower abdomen. Since then, the mass has been growing in size. Due to the back and abdominal pain Nan experiences, she recently had to stop working. Doctors at a hospital affiliated with our medical partner, Burma Children Medical Fund, have now diagnosed Nan with an uterine myoma. Nan requires a total abdominal hysterectomy, which is scheduled for September 20. As the sole breadwinner of her family, Nan needs our help to pay for her $1,500 medical bill. "I just want to get better," says Nan. Sophal is a 52-year-old rice and crop farmer who is married with one son and three daughters. When Sophal is not working, she enjoys watching the news and Thai TV dramas. About two years ago, Sophal developed a pterygium in both of her eyes. This is a medical condition where there is overgrowth of tissue over the membrane of the eye, resulting in blurred vision, irritation, and tearing. Sophal reports that it is hard for her to see things clearly, do farm work, or go anywhere on her own. On May 30, Sophal will undergo surgery to remove the pterygia. Our medical partner, Children's Surgical Centre, is asking for $148 in donations to cover Sophal's medical bill. Together, we can help Sophal to see clearly again! 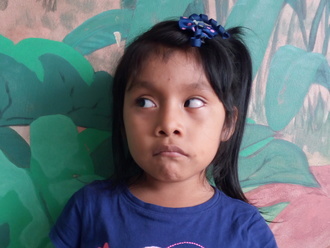 Meet Zoe, a four-year-old girl who lives in the Philippines with her mother and father. Zoe is in preschool and loves to play dress up—she likes to pretend she is a princess. Her father is a handyman, and her mother works in retail. 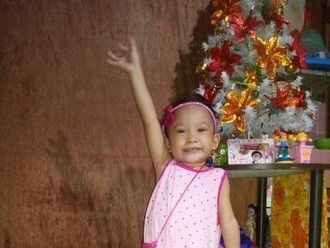 When Zoe was born, she was diagnosed with a congenital heart defect called Tetralogy of Fallot. This rare condition involves several related defects including a hole between two chambers of the heart and a muscular blockage in one of the heart's valves. As a result, not enough oxygen is delivered to Zoe's body, leaving her sickly and weak. 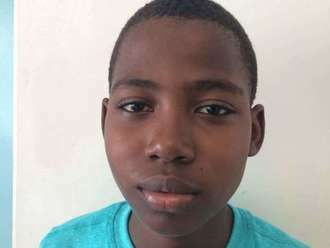 Although Zoe is not from Haiti, Watsi's medical partner, Haiti Cardiac Alliance, helped to coordinate an open heart surgery for her in the Cayman Islands on March 24. This $20,000 surgery is being subsidized by Health City Cayman Islands. $1,500 will cover her lab tests, medicines, and checkup and followup appointments. These funds will also support passport obtainment and the social workers who will accompany Zoe's family overseas. Zoe is the only child in her family, and her parents are very excited for her medical treatment. "I am so grateful to everyone who is helping us travel around the world to be able to have this surgery!" shares Zoe's mother. Sina is a 38-year-old farmer who is married with two daughters. He works as a construction worker to earn extra money to support his family, and enjoys fishing and picking beans in his free time. Sina developed a lipoma, a benign tumor of fatty tissue, on the back of his neck years ago. Due to his tumor, Sina experiences chronic pain and discomfort. The $224 will fund the removal of the lipoma, scheduled for May 23, and help Sina feel comfortable again.